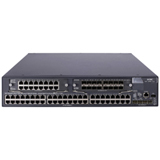 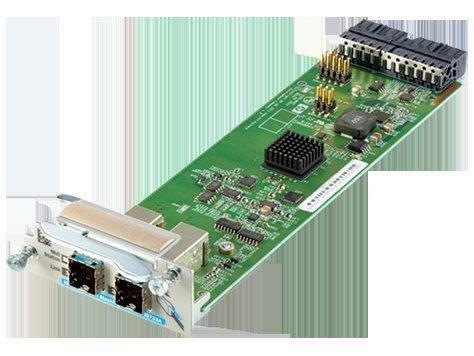 HP 5800 series switches offer an unmatched combination of Gigabit and 10-Gigabit Ethernet port density, high-availability architecture, and full Layer 2 and Layer 3 dual-stack IPv4 and IPv6 capabilities. 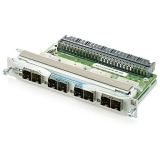 In addition to wire-speed line-rate performance on all ports, the switches include patented Intelligent Resilient Framework (IRF) technology and Rapid Ring Protection Protocol (RRPP), which allow local or geographically distributed HP 5800 switches to be interconnected for higher resiliency and performance. 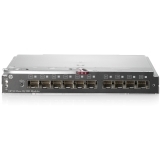 Available in PoE and non-PoE models as well as 1 RU and 2 RU flex chassis configurations, HP 5800 switches are built on open standards and include an open application architecture (OAA) module slot that enables flexible deployment options for new services. 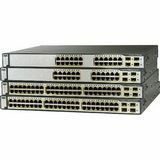 These versatile switches are ideal for use in the network core of buildings or departments, or as high-performance switches in the convergence layer or network edge of enterprise campus networks.